Professor Gary Fischer working with Carroll students. Systems to protect and preserve the environment (e.g., solid waste management, air quality protection, water quality protection, land use management, and energy production). The civil engineer ensures that all of these systems are safe, efficient, reliable, sustainable, and resilient, and that they protect and preserve the environment for future generations. The Carroll Civil Engineering program focuses on the social value of engineering while mitigating environmental impact through sustainable engineering solutions. In addition to a rigorous technical curriculum, you will enjoy many opportunities while you are at Carroll to develop and practice your skills in the field to benefit people locally, nationally, and all over the world. When you study Civil Engineering at Carroll you will learn how to design buildings and bridges, protect and preserve the environment, manage our precious water resources, and provide efficient transportation systems. This provides you with a broad base of knowledge and skills so that after graduation you will find enjoyable and rewarding work, start your own business, become a leader in your profession, and/or pursue graduate studies in a wide variety of disciplines. Why Study Civil Engineering at Carroll? The general Civil Engineering degree provides students a broad base of knowledge and skills in water resources, environmental protection, structures and transportation. The Civil Engineering degree with an Environmental Emphasis allows students to take select courses in air and water quality, energy and the environment, public health and the environment, and land and stream restoration. 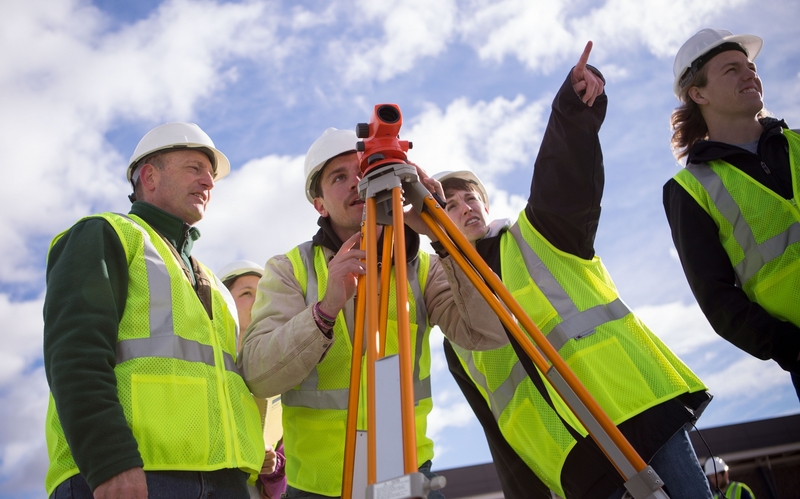 Check out the 4-year course plans for Civil Engineering. Students can also supplement a BS degree with a certificate in Geographical Information Systems (GIS) or in Project Management. Carroll Civil Engineers are in high demand. Graduates get jobs, start their own businesses, become leaders in their professions, join international service organizations, and are accepted to top notch graduate schools. With a Carroll BS in Civil Engineering, you can enjoy a rewarding professional career in service to people. Carroll Engineering is "Engineering for Life." To give you an idea of the possibilities, read profiles of some of our alumni.